Chords in A and major scale runs. 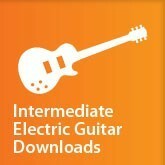 Chords in A higher up the neck..
You're reviewing: Intermediate Electric Guitar Downloads - Part 15. Chords in A and major scale runs. Chords in A higher up the neck.